Who are we? Transportation specialists! Who is the Carefree Transportation Society? The Carefree Transportation Society has been in operation as a non profit society since 1971, we have managed BC Transit’s HandyDART buses in Prince George since before they came into existence in our province. Our history can be found here. We have been transporting thousands of citizens with a disability to and from local doctors appointments, community departure points, community building… Well, anywhere local they want to go when they leave their homes and back again. We are a door to door and back again service, fully accessible and accommodating to registered local users. 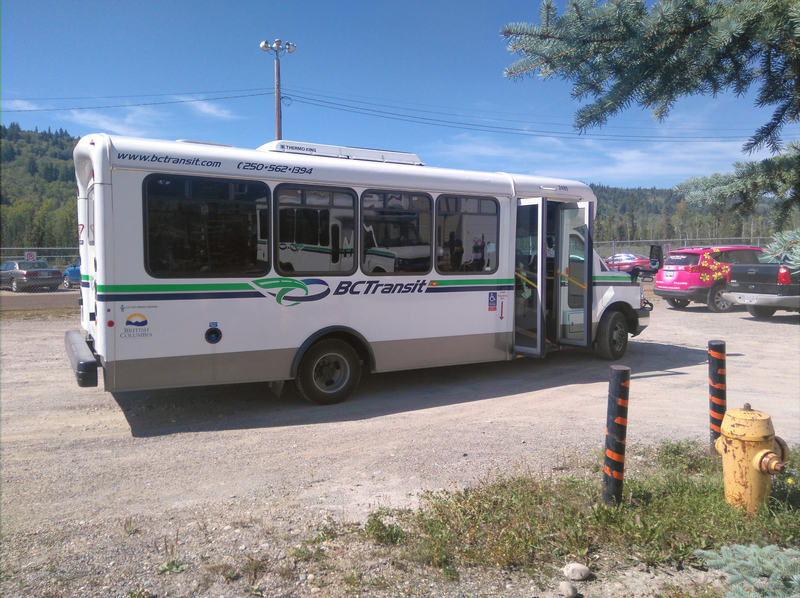 This blog behind our business website was built to feature stories of memorable rides, driver reflections, vehicle standards, BC Transit news and passenger safety tips. I’m still looking for a volunteer blog writer to add content to this website on a regular schedule. Perhaps that’s you? Contact us here and let us know! Really. Who is behind this? My Name is Ken Biron. I can walk, but not too far so I roll further. I am the manager of this website, a student of life and proud alumni for Make A Change Canada, more focused on IBDE and Business Abilities. Without them, this website would not have been possible in quite this way. I am an active citizen of Prince George BC, aging with a disability, Carefree Transportation Society has helped me and thousands of others to be this active. Thanks for looking in. I manage several websites for non profits in the city of Prince George and consult around the province of British Columbia. My own website ( here’s my bio on WalkNRoll.Info’s website), Volunteer Prince George‘s website are managed by me. That’s only one part of me. I am known as a “Professional Volunteer” in my large diverse circle of personal contacts, most of them are “professional” contacts made in the Non-Profit world. I have been building websites and blogs for over a decade! I am also employed by Handy Circle Resources Society, but not on their website. I have a diverse job which includes networking, public speaking, advising and educating. Who is inside my head? I really don’t know. Isn’t me most times, I feel. Sometimes I spend time to take pictures of areas which need access improvements. Other times I take pictures of work being done to overcome barriers. I love blogging! Keeping busy in my head helps my mental health be stable. Both sides of every story needs to be told, to increase awareness of barriers that you may have passed over unaware before, perhaps for decades. Best to discover and fix those before you need them yourself. It’s even better if you consider adaptable housing as well in new construction, life changes causing sudden impairments in mobility or vision can happen at any stage of a person’s life. It is the only certainty other than death. Someone living in that residence after you move on will appreciate it if not yourself during in your time living there. Everyone needs to go home after a hard day out and about and heal from the day. Adaptable can make that happen no mater what happens. That has been my main focus since I walked into a wall in 1999 and was diagnosed with Multiple Sclerosis a year later in June. Since then, my housing has been limited due to having a Mobility Scooter as my main form of independent mobility outside my residence.